Johnathan Williams transferred from Missouri, one of three transfers playing key roles this season. Skeptical fans often suggest that if Gonzaga played in a stronger league, the Zags wouldn't be as nationally relevant. Their point hinges on the assertion that the talent in other leagues is far superior to what Gonzaga faces in the West Coast Conference. 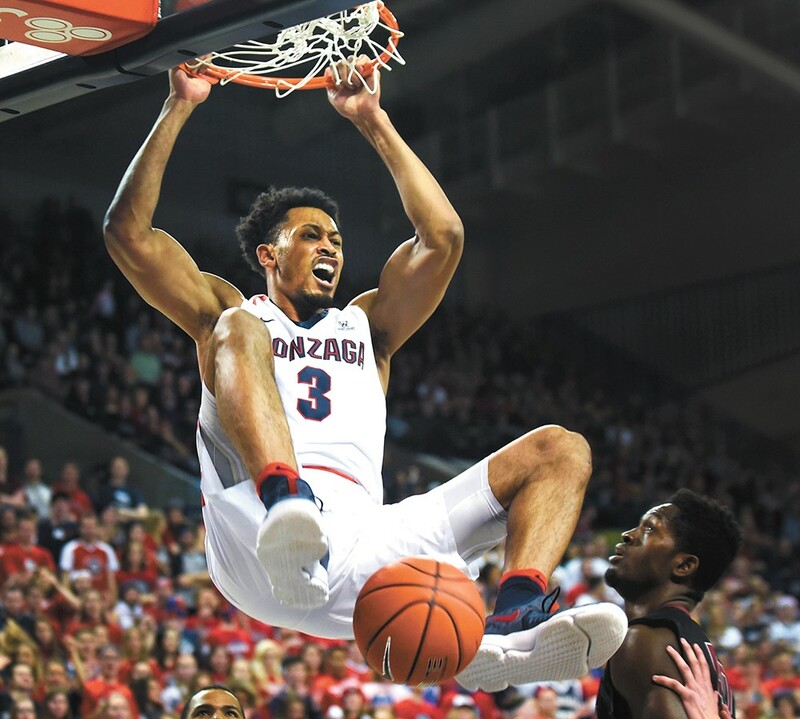 What they fail to recognize is that the talent in those leagues is not superior to the talent on Gonzaga's roster, in part because the Zags have taken in some of those leagues' most talented players. As a sophomore at the University of Washington in 2015, Nigel Williams-Goss was named to the all-Pac-12 second team. Jordan Mathews averaged double figures in scoring as a sophomore and junior at Cal. In his final season at Missouri, Johnathan Williams led the Tigers in points, rebounds and blocks. Gonzaga has poached some big-name transfers in recent years — Byron Wesley from USC in 2014-15 and Kentucky's Kyle Wiltjer from 2014-16 — but this trio of starters is unprecedented. There was no real way for people outside the Gonzaga locker room and practice sessions to know how well Przemek Karnowski's recovery from back surgery would go. The injury cost him the majority of the 2015-16 season, and even though last year's Zags made a run to the Sweet Sixteen, the bushy-bearded center's defensive presence and passing skills were definitely missed. The history of 7-foot-1, 300-pound dudes rebounding successfully from back injuries is not great, but Karnowski has been all he used to be this year, and then some. His leadership helped the team incorporate its transfer players and incoming freshmen with ease, and his shooting touch and movement have been better than anyone could have hoped for. This year's Zags would have been good without big "Shem" in the mix; with him, they might just be a Final Four team. We all know the knock on the Zags from people who don't get to see them play on a regular basis: "They don't play anybody! Their conference is terrible!" As usual, such criticism is overblown at best, if not completely off-base. But you can look at Gonzaga's non-WCC schedule this season and see a team that made a leap to a new level. Last season, the Zags lost to Texas A&M, Arizona and UCLA before starting conference play. This season, they went undefeated in nonconference play, beating Florida, Iowa State and Arizona — all teams that made the NCAA tourney, with high seeds — in addition to San Diego State, Washington and Tennessee, all teams from major conferences or with serious basketball pedigrees and history. From Dan Dickau raining threes in the early 2000s, to Adam Morrison leading the nation in scoring in 2006, through the Olynyk Clinic in 2013, Gonzaga has been a program built on great offense. But this season, the Zags have a stingy defense to match their scintillating scoring. Stat whiz Ken Pomeroy has been tracking all 351 Division I teams since 2002. Over those 15 seasons, Gonzaga's average ranking in offensive efficiency was a respectable 21st in the nation. Defensively, the Zags came in at 57th. This year the Zags' defense (2nd) is ranked higher than their offense (10th). Their defense isn't just better than normal; it might just be the best in all of college basketball. Gonzaga leads the nation in margin of victory, winning games by an average of 23.4 points per game, and ranks second in field goal percentage defense (36.8 percent).